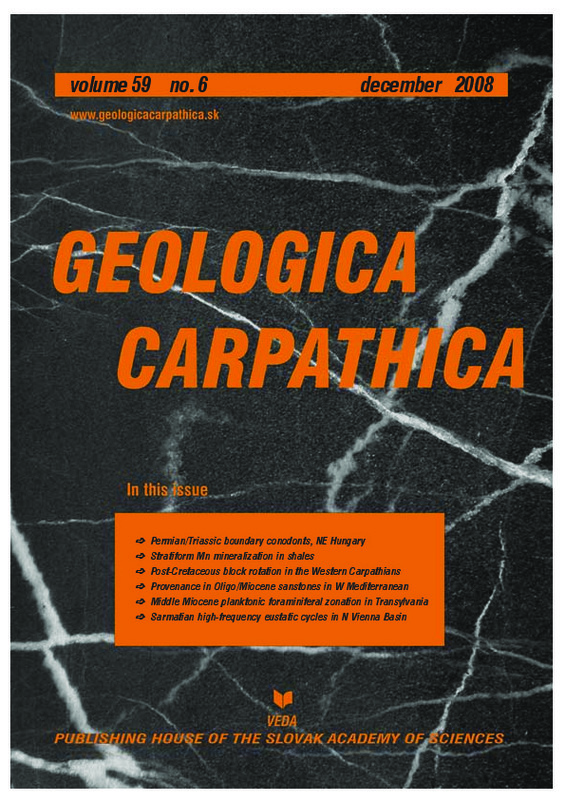 Abstract: Results of paleomagnetic study of Triassic limestones, sandstones and serpentinites of the Stratena and Borka Nappes (Silicic and Meliatic Units), as well as of the Upper Cretaceous sandstones (Gosau Group) from the area of the Slovensky raj Mts and Dobsina area are presented. Characteristic components of remanence were isolated in six localities representing several nappe slices. The isolated characteristic remanences are carried by secondary minerals. They are of chemical origin and normal polarity. They were probably acquired during the latest Cretaceous at paleolatitudes of about 28°N to 22°N showing that the area was in that time of African affinity. The whole study area moved from the South to North, nappes and nappe slices formed due to intensive compressive Paleoalpine tectonics. During the transtensive and extensive Neoalpine periods of Alpine orogenesis they disintegrated into different blocks which moved mainly horizontally, some of them were backthrusted, or rotated. Finally they were amalgamated into the recent megablocks. The individual rotations calculated against the reference declination Dref = 6° for European data for the Miocene are as follows: Dolka 1: 21° CW (Clockwise), Dolka 2: 15° CW, Dedinky: 14° CCW (Counter-clockwise), Kopanec: 41° CCW, Dobsina: 55° CCW, Dobsinska ladova jaskyna: 16° CW.